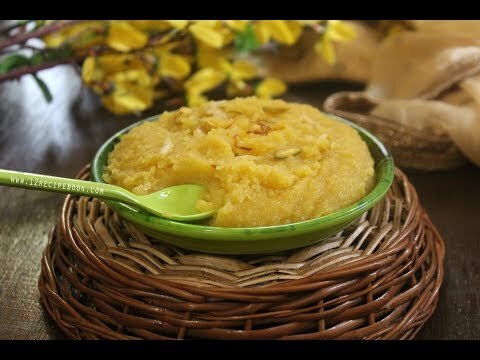 Check out the video of making almond halwa to ease your cooking. Also please don't forget to subscribe my You Tube channel: "12recipebook"
Almond halwa is a healthy and delicious Indian dessert that will loved by everyone. 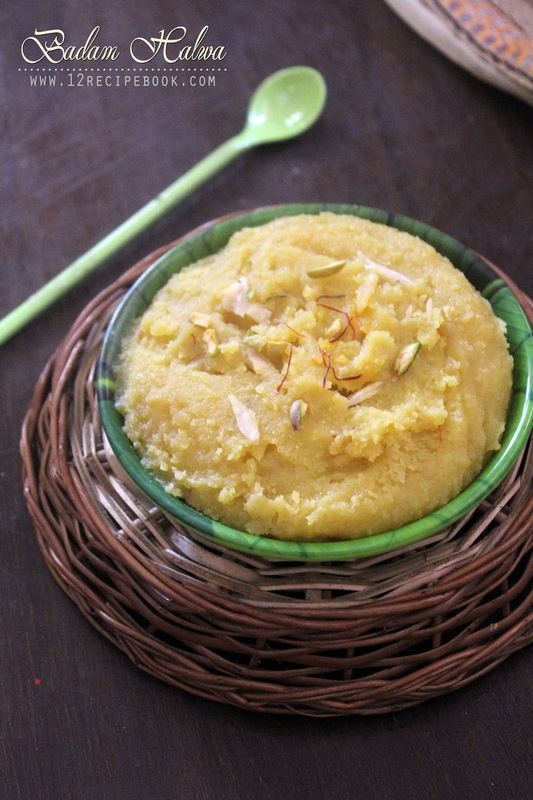 The rich and creamy saffron flavored halwa is made for all the special occasions to celebrate. 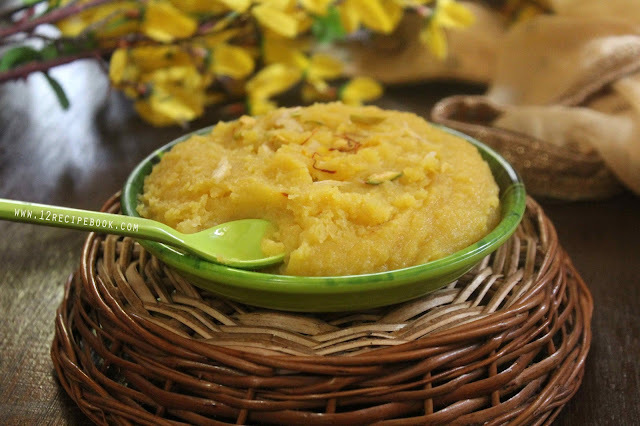 Unlike other halwa recipes; Almond halwa requires less ghee and milk. 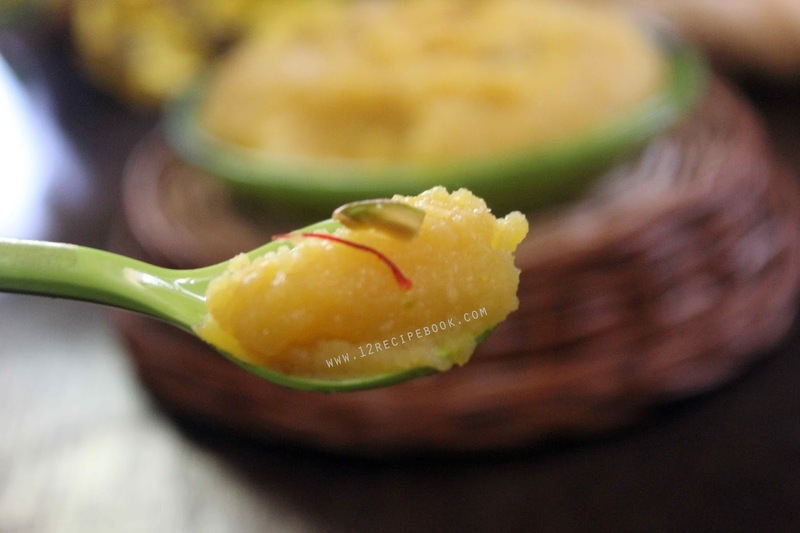 Try the simple halwa preparation and leave your valuable feed backs here. Soak the almond in water for overnight. Next day; drain it and peel it's skin. Add the peeled almonds in to a blender along with 1/2 cup of milk. Blend smooth (tiny granules are OK). Soak saffron in 1/4 cup of hot milk. Keep aside. Add pureed almond and saute on low flame for 5 minutes. Add sugar and mix well. Stir for another 5 minutes. Add saffron soaked milk and remaining 1/4 cup of milk. Cook the halwa by stirring well until thickens. When it thickens; add remaining a tablespoon of ghee and mix well. Turn off heat; when halwa leaves from the sides of the pan. Serve warm or chilled and enjoy the delicious halwa! !